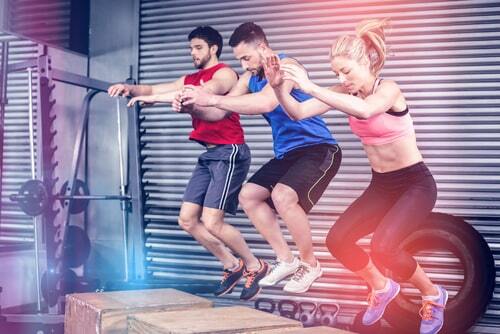 Crossfit Review: Is It Safe or Should It Be Avoided? If you don’t already know, Crossfit is a relatively new phenomenon sweeping throughgyms and recration centers alike. The idea behind Crossfit is rather simple, that you will use your own bodyweight as resistance to build your strength and stamina. Crossfit touts all of the benefits of cardiovascular exercise without the need for the huge time investment, and being enjoyable at the same time. Crossfit claims that it can help virtually any person at any fitness level improve to some extent, and provides benefits in lifting, sprinting, endurance and other sports and fitness activities as well. What Are the Benefits from Doing Crossfit? 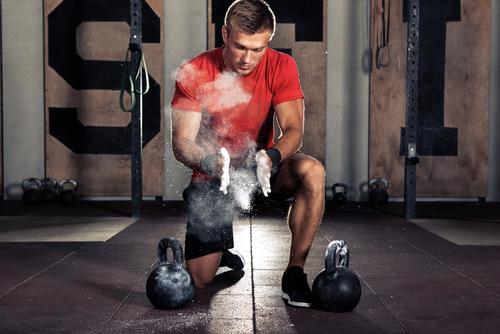 One of the major goals of Crossfit is to make you better able to perform in sports as well as perform tasks in your everyday life more efficiently. It is all about functional movements with Crossfit, so you get the added benefit of increased joint strength, muscle strength and stability overall along with the added benefit of just looking good. This means that not only will you look good, you should feel better as well. Crossfit should help you improve posture, strength, balance and flexibility. Another great aspect to Crossfit is that there are many different exercises you can do and thus it is very versatile. In theory it should be harder for your body to adapt to these movements since you should be varying them to the point where you aren’t doing the same ones all the time. This can help you progress further much more quickly, and as a result hit those goals faster. One of the major draws to any exercise fad is the potential to lose weight and fast, which Crossfit is effective in doing. Crossfit utilizes circuit training and high intensity interval training, which is designed around condensing the length of the exercise in to a shorter time period, but at a higher intensity than you normally would. Both men and women have shown to lose significant body weight in just 10 weeks of training in crossfit which is much better than conventional training. What Are the Negative Aspects of Crossfit? The Crossfit routine isn’t 100% to blame for this, but it is more of a result of a combination of things. First because Crossfit is relatively new, new members are joining all the time and are unfamiliar with the routines involved. The people who are conducting these classes aren’t highly trained themselves, and are only certified in teaching the class itself. So in essence anyone can teach these classes if they get the proper certification which costs little and requires little knowledge as well. On top of that, the students themselves aren’t too knowledgeable. This wouldn’t be too much of a concern except that may of the movements in Crossfit are compound movements that revolve around multiple joints and aren’t exactly easy to do with the proper form. These three variables, inexperienced instructors, inexperienced students and an complicated routine can be a recipe for disaster if you don’t know what you’re doing. 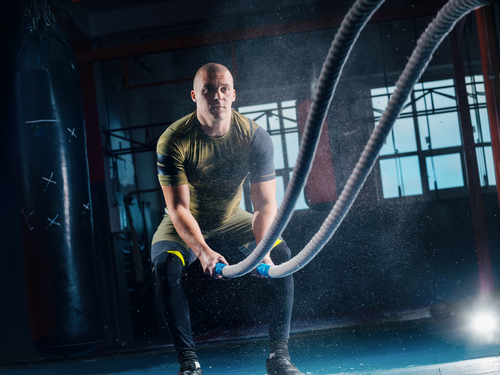 Crossfit is great if you’re just looking to get some exercise in and don’t have specific goals, but if you’re a performance athlete Crossfit probably isn’t going to be the best training program for you. This is because unlike virtually every other training program out there, Crossfit doesn’t have a specific goal except to get you in shape by teaching you functional movements. For example if you are training to become a powerlifter, you aren’t going to want to do some of the routines involved in Crossfit because they are more focused on endurance in doing higher repetitions with low weight. The same thing goes for endurance athletes as the high intensity interval training programs don’t focus on their endurance and revolve around burst training that would be more effective for a sprinter. What we mean by this is that the person performing the Crossfit routine will more easily adapt to it than they would from other exercises, and thus down the line they will not see as much progress. Basically, Crossfit is great for beginners but as you progress your growth will be stunted. The returns you get from doing these exercises severely diminishes over time. This is a major problem which is well known within the community, hence why many competitive Crossfit athletes do not even use the program to train for the competitive events themselves. That is pretty telling if you ask us.